We discontinued our email newsletter sometime last summer, it was just too much time to justify the number of people reading. But since then we’ve heard from many readers who miss getting the best of our content delivered to their email. So we’re testing a new approach that I’m calling FREE STUFF FRIDAY. No worries if email is not your thing, we’re looking for new ways to connect on Facebook & Twitter too. If the form is having problems, here is a backup version. Sounds like a good plan. Looking forward to Friday’s first. Awwww I’ve missed hearing your thoughts and ideas…..glad to see the Friday email is coming. Cannot wait! I just love your site. Always great and helpful content! Yes, please sign me up for the Friday newsletter! Appreciate all you do! I love the ministry-to-children website. I am a primary Sunday school teacher and your website is a tremendous asset to me in class preparation. There is something wrong with your entry form for the Free Friday sign up. I tried several different email addresses and it said all were not valid. One was my work email address and I know it’s valid. I’ve used Ministry-to-Children a lot! Thank you for blessing my ministry. I would like to get ideas for games to play with the kids either as ice breakers or to go along with the lesson. Thank you. I love to read your posting and the ideas I can get out of it. It also helps as back-up plans. I miss your ideas. But not particularly interested in your promotion of curriculums etc. or VBSs. Also I live in Australia. I myself write all the basic kids ministry materials that we use as a church and some of your ideas are great. I’d also be happy to share my materials with you. Sounds like a good plan. We have walked back from curriculum reviews and focus on serving churches who are “under resourced” or have people like dedicated to doing Bible teaching for their particular ministry setting. Kudos! I think you’ll like what we have coming. Plus I’d love to share more reader material – what format are you using? Microsoft Word? I use so much of online material to prepare my lesson plans. My children love the lessons and learn, too! This is a special blessing. By the way, I hope this is the ‘form’ you were referring to, because there were no links to a form on the email I received. I LOVE THIS IDEA!! I’M EXCITED TO START GETTING THESE E-MAILS!! This is a great idea as I am one of those that misses the communication with you. Sounds like a plan to me. I am always looking for “free stuff”. As a Sunday School teacher K thru 2, I try to just my imagination in planning my lessons with added touches getting the children involved, so the children remember the lesson from the bible. Just recently for Peter in Prison we made a prison and played “Prison Monopoly.” The children loved it, each space they landed on was a question about the lesson, saying a memorized bible verse, saying something nice about the person behind or ahead of you, silly things like sing a song and of course “go to jail”. They were also given tokens for prizes. These are the type of unusual games, etc. I am looking for. We made a whale out of watermelon on time for Jonah and the big fish. Thanks for all the printable sheets for my little ones to enjoy. I always enjoy reading your emails sharing God’s word in a new and different way. I have been using some of your materials since last year to help me and my kindergarten, the youngest members of our Sunday School at All Saints, Anglican church of Melanesia in the Solomon Islands. Thank you for your valuable materials on your website and your mission is very much appreciated. Love your site and greatly appreciate all you do! Thank you! I am glad you are back! I am encouraged and motivated by your ministry. You have blessed the ministry in which I have the pleasure to serve in. Thank you! No ideas how to make this even better. It is already the best ! Appreciate your commitment to reaching and teaching the next generation. God bless. Thanks for that. It sounds great. I really appreciate your ministry. Looking forward to the new ideas. Sounds awesome. Looking forward to it. Your materials are a wonderful resource. I love the Free Friday idea! Your ministry has been such a blessing for our church who has no budget for children’s curriculum!! Yes. Help us, Thank You! I am so thankful for the help we get through your emails. By working together we are able to reach children at their level. Your ministry has been a wonderful help to me as a “one-room” Sunday school teacher. I’m not teaching now (no kids at my church right now, so sad) but continue to keep up with your website. Thank you so much for your help over the years. I’m looking forward to Free Fridays. Thank you so very much! I use your material often and the lessons are always a blessing. I do miss the emails. You have always been such a great resource. I go to your website often for inspiration. Love the idea of Friday emails. I am a sunday teacher and your newsletters have been of great help to me and the Children.Looking forward to receiving more of your lesson plans and other relevant materials. Would you have things for early childhood? I can’t find many things, like crafts, games, or even lessons that are appropriate for 2s and 3s. Toddlers Knowing God is a good place to start. I LOVE the stuff you send!! Signed up!! Thank you for all of your great ideas and resources! I use them all the time! I hate to say this, but our leaders are not the most organized and there are times when I am called upon to teach my class and I have to pull something out quickly. Your website has saved me many times! When I was the leader (before I stepped down to take a break), it was your resources that kept me together! Sounds like a great idea! Love this! Sounds like more blessings being poured out! Looking forward to Friday’s. sounds like a great blessing! This sounds great! Can’t wait to use ideas with our children’s choir. What a great idea! Thank you so much for taking the time to share your wonderful resources. I love using ALL of your resources! I’m so thankful for friends like you that stand in the gap with new and fresh ideas, or maybe even a note of encouragement! Thank You for all you do to equip the Army of Teachers and Leaders to fight for our children and Teens in the battle for eternity!! I really appreciate all the things MTC offers, and use them a lot at all age levels, up to 12 y.o. or so. I can’t thank you enough…I also recommend them to others. Your ministry is bearing much fruit all over the world (we are in Suriname, and I’m sure countless other missionaries use your materials). We thank you and we also thank the Lord for you. Your creative materials have been very helpful in teaching children at different ages in Sunday school. looking forward to the newsletter. well i think your new newsletter sounds really interesting! looking forward to reading it! 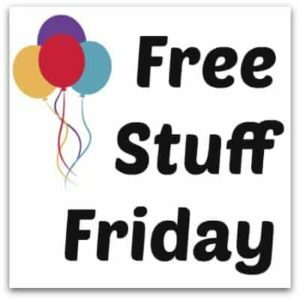 Free Stuff Friday sounds like a great resource. We have used the content from your newsletters and website A LOT. It is a wonderful tool! We appreciate all the creative ideas and lessons that are available for special occasions as well. Thank you for all you do to help empower Children’s Ministry. We appreciate your heart for children and the Kingdom of God! Blessings! Free stuff is always nice especially when you don’t really have a budget to work with. Thanks for all that you guys do to make it easier for the Children’s Pastors and ministers who are on a limited budget. Want to “Thank You” for all the e mails I receive. They are a big help for our Children’s Church. Thank you all again for all your work you do for the Lord. God Bless you greatly. this is my first time to put together a lesson plan for children church. I was to do john 3:16 which I was able to get somethings off from here. if there is someone that can help me come up with more lesson plans that I can do with the kids that would be great help. thank you and GOD BLESS EVERYONE. My Church uses this web sight for our Children’s Church material. Your lesson are really good and the children really do enjoy these lessons. They are easy to use as well. I teach Children’s Church once a month, and the children seam to be very excited to learn about our lord. That is where your lessons really shine. Thanks for the lessons on “How to Win Against Sin.” I plan on using them when I begin our Discovery Club classes in September, at New Grace Baptist Church in Bristol, TN. God answered my prayers. This website is perfect! Tony Kummer (Editor) reviewed & updated this page on : November 2, 2018 at 11:59 am. All our content is peer reviewed by our readers, simply leave a comment on any post suggest an update.